In Havet House, guests can enjoy easy access to all that the beautiful Krabi city has to offer, including the city's wonderful attractions and landmarks, such as Ao Nang, Railay, Phra Nang Beach. Havet House is committed to deliver the best stay-in experience and warmest hospitality to ensure your stay is as pleasant as possible. 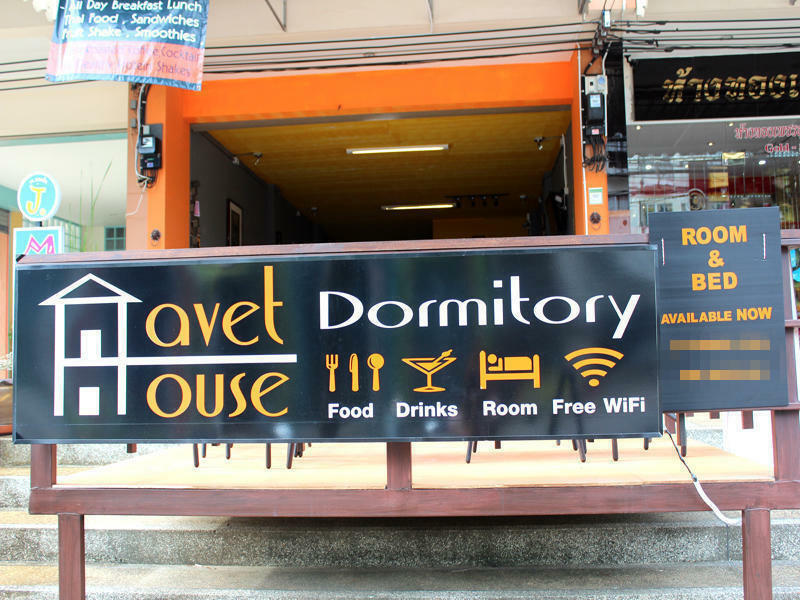 For the comfort and convenience of guests, the hotel offers restaurant, bar, Wi-Fi in public areas, tours arrangements, motorbike rentals and airport transfers. In addition, all guestrooms feature a variety of comforts such as shared bathroom, air conditioning, personal lockers, coffee/tea maker, television LCD/plasma screen, cozy reading corners and laundry services to please even the most discerning guest. The hotel's wide array of tour arrangements will help guests in planning their vacation time in this beautiful town. Guests who are more adventurous are more than welcomed to rent a motorbike to explore the island at their own leisure. 25 minutes away from Krabi International airport.